Why won’t Inigo Pascual talk about K-pop anymore? Darren Espanto seconded his thoughts by delivering a funny response to his tweet. 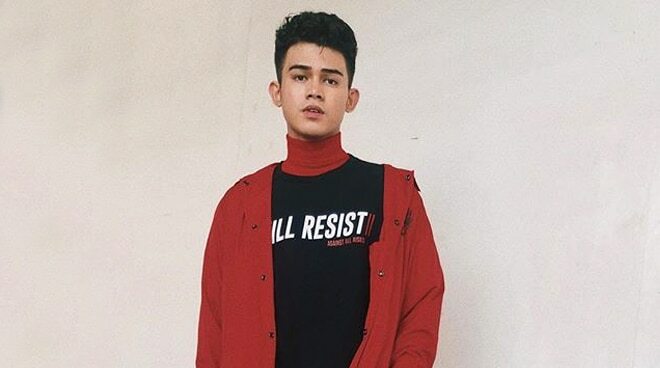 If there's a man in showbiz who proudly admits that he is a K-Pop fan without thinking whether or not people might judge him, that would be Inigo Pascual. As a matter of fact, Inigo has consistently voiced out his love and support for groups such as GOT7, SEVENTEEN, and EXO. But sadly, he suddenly stopped posting about his love for K-Pop on social media thanks to "toxic fans" who keep on attacking him and other artists who happen to be fans as well. After fans bombarded him with speculations as to why he decided to quit sharing his thoughts about K-Pop, the 20-year-old Kapamilya artist finally broke his silence via Twitter. "I was a big fan of K-Pop before. In fact, I still am. I used to post a lot about my favorite songs, groups, and artists. The reason why I stopped posting and sharing my interest in it was because of toxic fans that keep attacking artists that are fans as well," he said. Meanwhile, his good friend Darren Espanto seconded his thoughts by giving a shout-out to BTS member Rap Monster. "Basta...Rapmon. Yun lang hahahahaha balakayojan," Darren replied to Inigo's tweet. Last year, Inigo's cover of BIGBANG member Taeyang's "Eyes, Nose, Lips" together with Darren Espanto, and Yohan Hwang became a trending topic online. i was a big fan of Kpop before, infact i still am. I used to post a lot about my favorite songs, groups, and artists. the reason why i stopped posting and sharing my interest in it was because of the toxic fans that keep attacking artists that are fans as well.